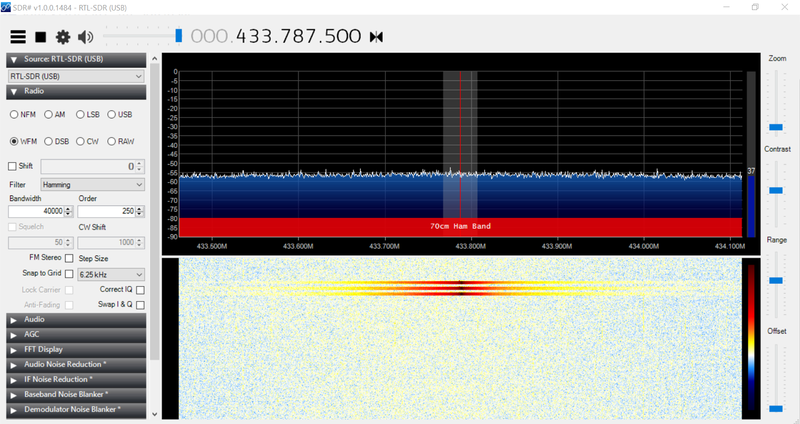 Aim: to obtain and decipher radio messages from household devices. 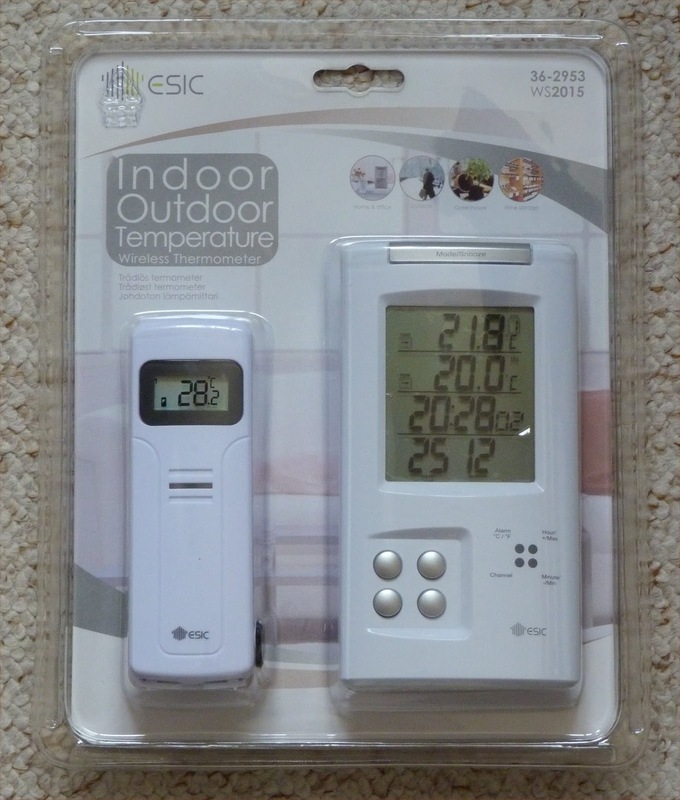 Test device: Clas Ohlson (WS2015) temperature sensor - typical household 433MHz device. Receiver: USB dongle (e.g. 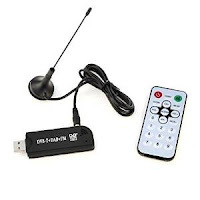 hsy® USB 2.0 Digital-DVB-T-DAB FM RTL2832U FC0013B SDR TV Radio Receiver-Stick) on a Windows laptop. 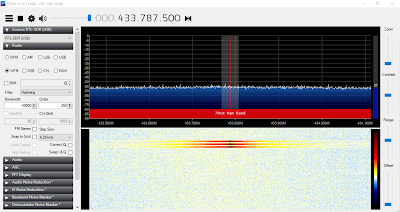 Data study and capture: SDR# (SDR sharp), 8bit wave file made of a couple of seconds and filesize of a few megabytes. 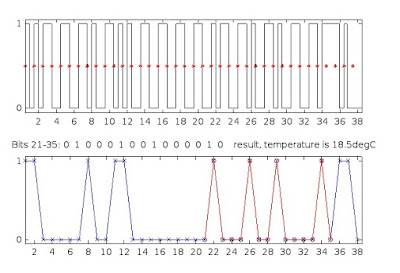 Data processing: done 'myself' in Octave -- the key command was wavread('FILENAME.wav'). But also some 'debouncing' was done to infill the many dropped "1" values. Plus all of the 6 messages were taken (2 channels, 3 messages per channel) after some synchronizing. All winters are cold and snowy in Finland, but some much more than others. 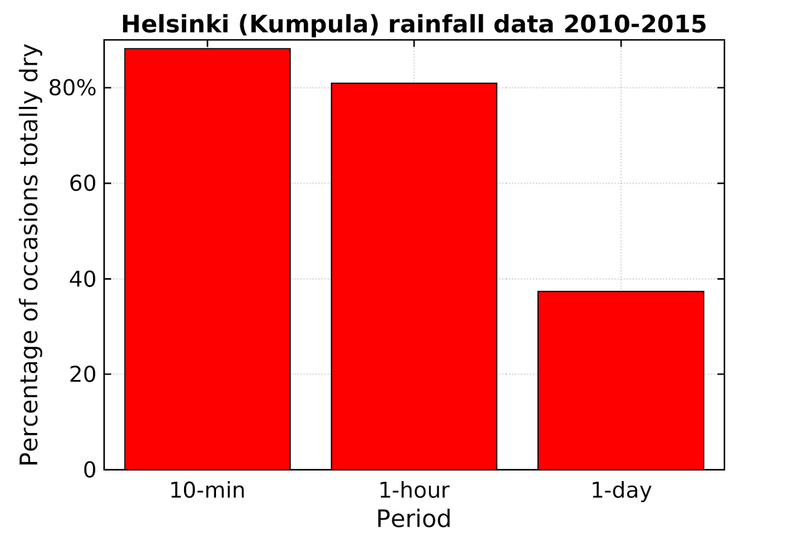 Weather station at Helsinki Airport in Vantaa. 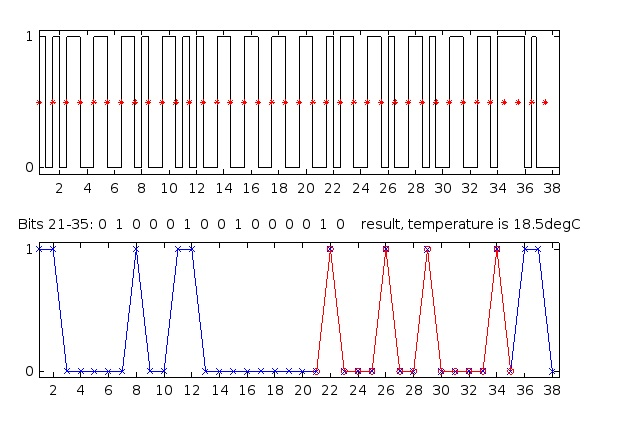 "Cold days" are with maximum temperature below 0C. "Snow days" are simply days with at least some snow on the ground. 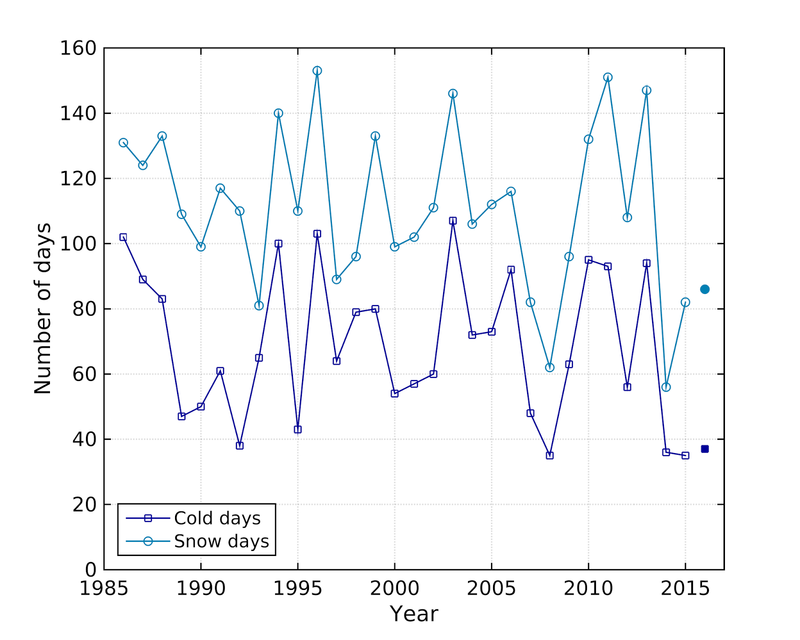 Winters are shown such that e.g. 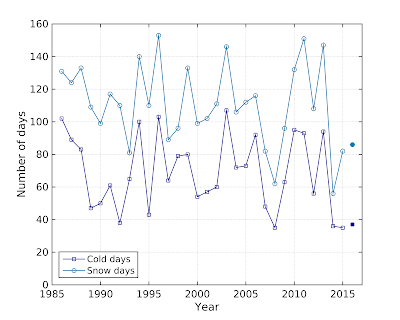 "2010" on the graph means the winter of 2009/10 (e.g. November 2009 -- April 2010). I had the impression that this year had lovely summery weather. it did, and I enjoyed it lots. 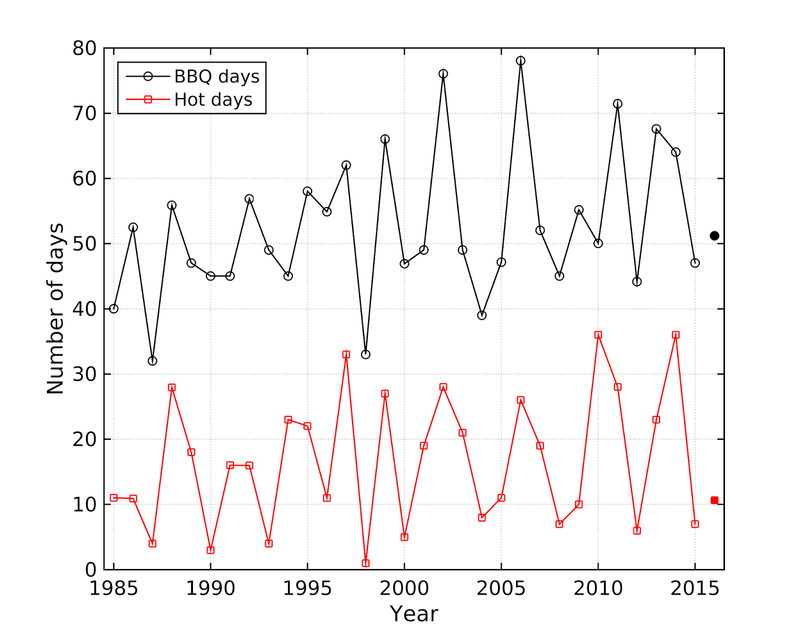 But apparently it was only about the same as the long-term (30-yr) average (of about 50 days per year), and even this year was cooler than some of the recent warmer summers that Helsinki's had in the last decade or so. "BBQ days" are with maximum temperature above 18C, at least 4 hours of sunshine and no rain. 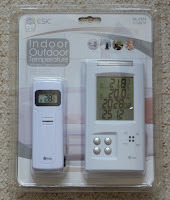 "Hot days" are with maximum temperature above 25C. It doesn't rain as often as we think. It's dry a lot of the time: for 88% of all 10-min periods and 81% of all 1-hour periods. Although the statistics for 24-hours looks less good - only 37% of days are completely dry. My bike-ride to work is 5 minutes each way. So there's an 88% chance of being dry each day when I go to work - i.e. it'll rain on me on about only 2-3 days per month. 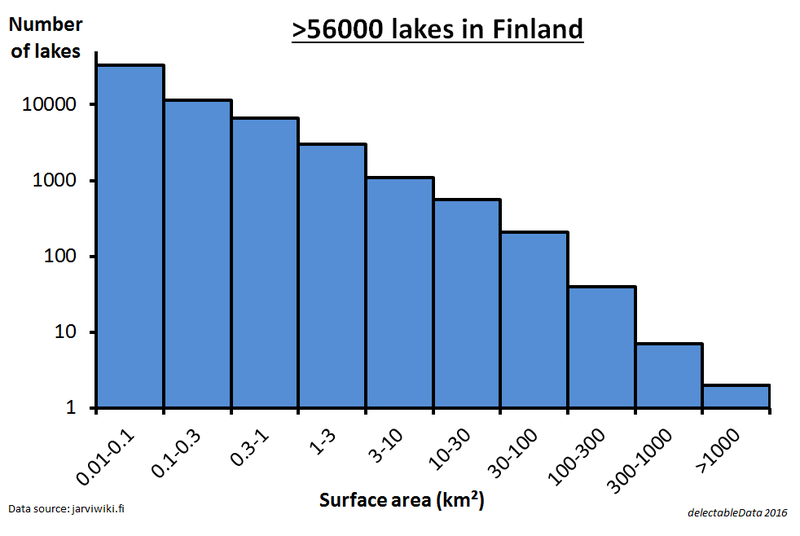 I once heard in a pub quiz that the average depth of Finnish lakes is 7 metres. 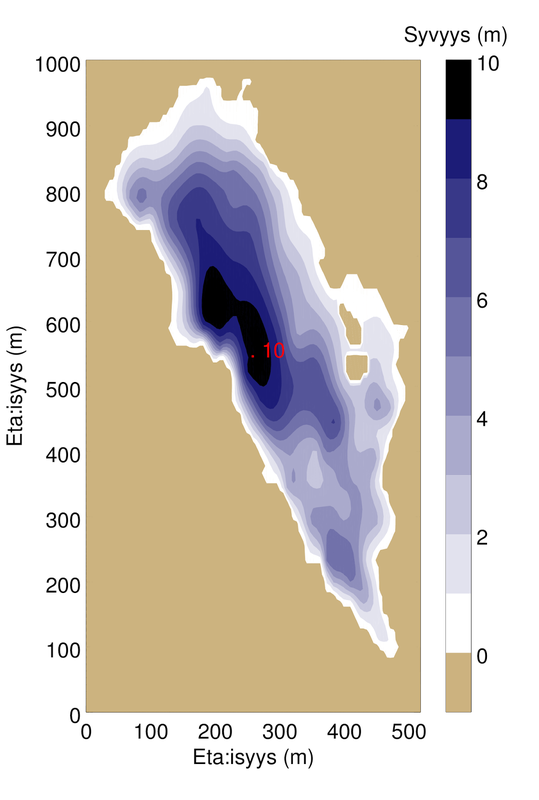 But I think that most lakes have never had their depth measured - and certainly not in the detail that I would want. So I decided to make my own measurements (using string, GPS and a boat) of a lake I spend a lot of time on. The original data comprised 121 depth measurements; the coastline was later refined using google maps. The axes are just distances in metres (north upwards), and the depth is on the colourscale in metres. In Finland there are over 180,000 lakes, pools, ponds of at least 500 square metres in surface area. 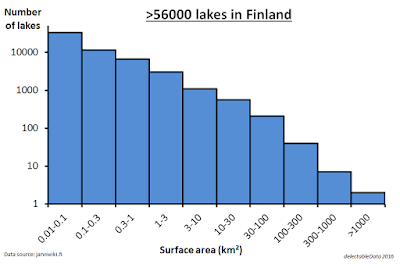 On a lake database (jarviwiki.fi) are included all lakes of at least 1 hectare in size (i.e. 100x100 metres is 10,000 square metres). There are lots of small lakes, and not so many bigs ones - following a power-law relationship, see chart below.